New Release – available for pre-order! Christmas. Disney. Romance. No greater magic. When Sophie’s eight-year-old niece, Ariel, asks Santa Claus for a single wish to honor her mom’s memory, Sophie knows she must grant it. Unfortunately for Sophie, Ariel’s wish is to ride her mom’s favorite ride on Christmas day, and it’s at the last place on earth Sophie wants to visit—Walt Disney World. It will be the first Christmas without her sister, and reliving childhood memories of her best friend is not how she wants to spend her holiday. Sophie’s only desire is to spend Christmas on the slopes with her reliable and stable beau, Darren, who has reluctantly agreed to postpone their trip until the day after Christmas. But when Sophie runs into a charming stranger, who offers up his extensive Disney knowledge, he instantly becomes her hero. A wave of relief washes over Sophie—he may just be the one to give Ariel the magical experience she desires. And, even though Sophie doesn’t realize it, he may be exactly what she needs too. Can a bit of Christmas magic help this ruggedly-attractive stranger win Sophie’s heart when she believes it already belongs to Darren? And will Sophie continue to allow her painful past to haunt her, or will she let it go? 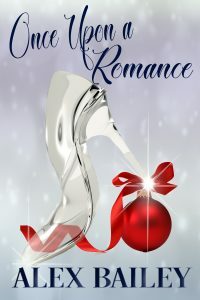 A heart-warming holiday romance set in the “Happiest Place on Earth”.